Two Irish sports professionals, Conor Meany and Olympian Grainne Murphy, were selected for the New Leaders Sport Leadership Education Programme. 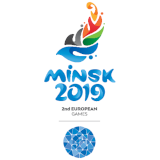 The pair were selected following a European application process to the National Olympc Committee (NOC) of Finland and are among thirty game-changers throughout Europe. 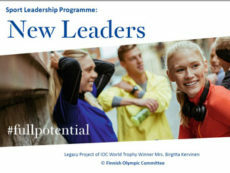 New Leaders is a legacy project of Birgitta Kervinen, 2017 International Olympic Committee (IOC) Women and Sport World Trophy Winner and is an educational programme that is a joint effort coordinated by the NOC of Finland together with the IOC, European Olympic Committee (EOC), NOCs of Lithuania, Ireland and Azerbaijan, and championed by the EOC Gender Equality Commission. The fifteen male and fifteen female game-changers represent twenty-six countries across Europe. The aim of the programme is to help participants enhance their personal leadership skills as up and coming leaders which will, in turn, have a wider impact on the sport movement across Europe. 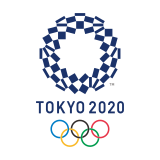 The Programme comprises of three workshops and a conference hosted by National Olympic Committees, where the successful candidates will explore aspects of leadership such as strategic goal setting, conflict management and persuasive communication. The Olympic Federation of Ireland (OFI) will be hosting the second workshop on the 9-11 April. Congratulating the successful candidates President of the Olympic Federation of Ireland and chair of the EOC Gender Equality Commission, Sarah Keane commented, “This is an exciting opportunity for Conor and Grainne and we wish them every success. The aim of the programme is to help the participants in their professional development and to help them fulfil their full potential and act as game-changers shaping the future of sport. “As part of the programme they will be supported by experienced mentors who will guide them on their journey and assist them in their career development. The first workshop will be hosted by the NOC of Lithuania on the 21-23 January, and the final conference will take place in Finland next autumn.